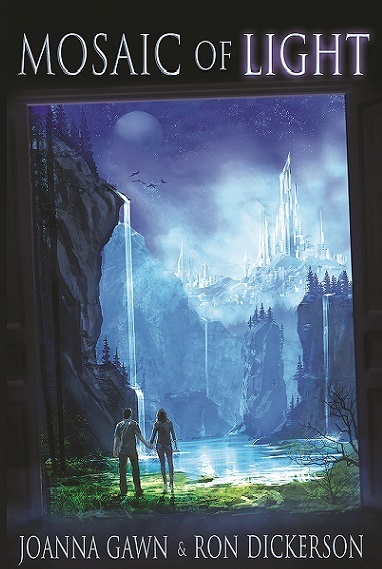 Unknown to Keira and Jason, the fates have prepared new friends and new challenges for them. There is much to achieve on their everyday plane – and beyond. The Roundlight Guardian stands as the last defence of a crystal city devoid of souls, a city at the mercy of a dark energy intent on devastation and destruction. The loss of light. The loss of hope. The loss of heart. We hope they whet your appetite for the remaining 33 chapters and Epilogue! “I happened to be fortunate enough to be reading Mosaic of Light when I had some very unexpected time off from work! Every time I would start to worry, and lower my vibration, I would start reading MoL again…and be reminded that I can keep my vibration alive and up, even with big issues looming over my head!! It is a spectacular book on remaining centered and listening to that quiet, still voice within…and the setting was aMAZing!! I highly recommend this book to anyone looking for reminders and new lessons on how we can use LoveLight (or reiki or whatever you call it!!!) to aid not only ourselves, but those around us! 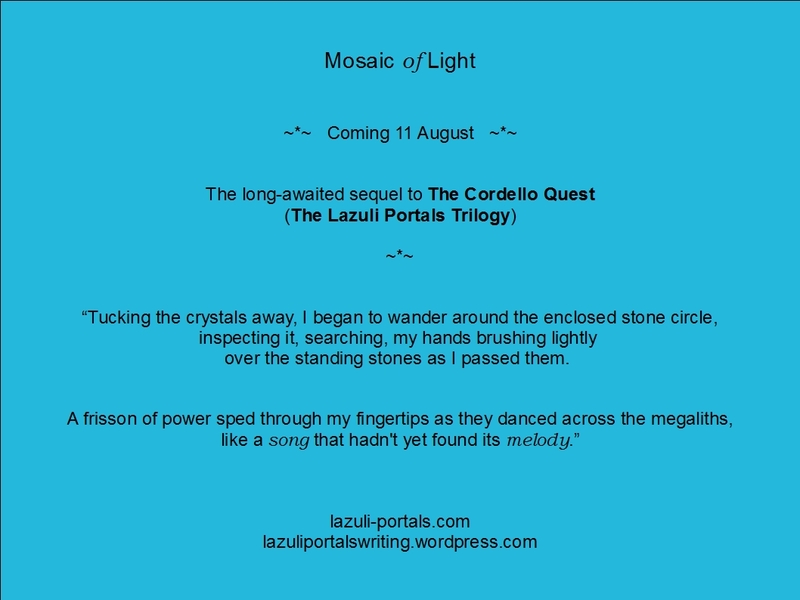 Quotes and a few extracts from Mosaic of Light will be shared here as we approach Launch Day, August 11! I was becoming more alert to synchronicities and opportunities, never knowing where a conversation might lead. A photograph could trigger a comment and lead to another step on our path; a number might lead to a thought. I began seeing 11:11 on the computer clock, on my watch. £1.11 on till receipts. 01:11 on the microwave timer. Wherever I looked, the number seemed to jump out at me. Somehow I recognised the numbers as being significant, but I struggled to recall who had mentioned them to me, or why. “Jason, can you remember who told us that numbers were signs or symbols, something like that?” I spread marmalade on my toast and waited for his response. “Um.” He placed two mugs of steaming tea on the kitchen table. “Thanks.” I took a sip. “I think it was when we were buying the crystals,” he said. He touched a tiny fern with his fingertip. It quivered, sending out a blast of tiny golden sparks. His finger tingled, then the sensation spread up his arm and into his tensed shoulders. Warmth flooded his muscles, a deeply relaxing, syrupy feeling which brought forth a deep sigh. Suddenly alert, he stood back, wondering. Had the plant given him a gift of energy, of healing? How were these magical green leaves relevant to the pool of molten gold? His scalp prickled, and he tried to calm his breathing and release the tension rising in his muscles. Fight or flight … only there’s nowhere to escape to. The cool draught of air which had swept past him moments earlier returned like a soft caress. Jason shivered. He knew this was no loving touch. He planted his feet firmly onto the rocky ground, and tuned into the higher energy being emitted by the plants. Our Video Interview: Watch it here. Visit our website to find out where you can buy your copy.